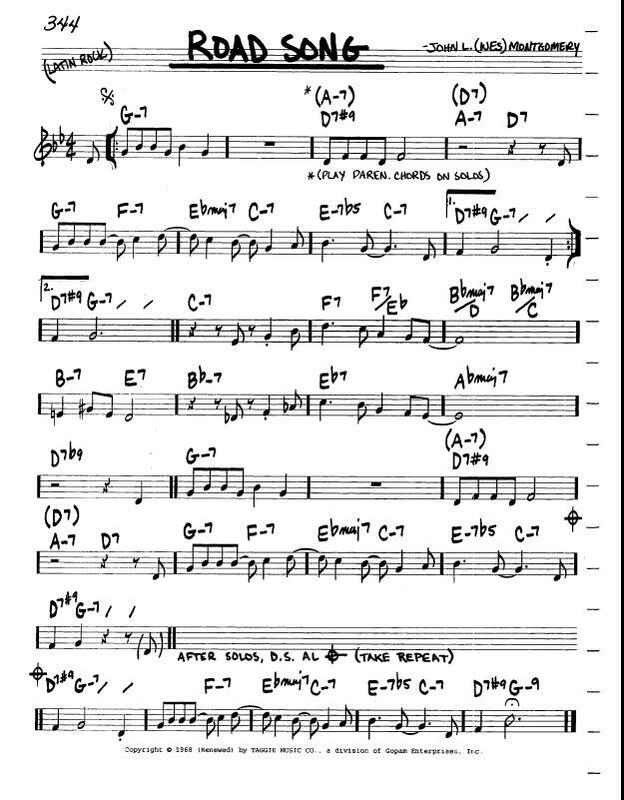 "Road Song" is a piece written by Wes Montgomery recorded in 1968. According to W'Pedia it reached number 1 on the Billboard Jazz album chart and number 39 on the R&B chart. It also reached number 94 on the Billboard 200. It was his final recording before his death of a heart attack on June 15, 1968. R.I.P. Wes. You can hear our take via the above MP3 widget. Click on arrow far left.